It is about two years ago when I wrote my last post about CUDA technology by NVIDIA (see here). At that time I added two new graphic cards to my PC, being on the verge to reach 3 Tflops in single precision for lattice computations. Indeed, I have had an unlucky turn of events and these cards went back to the seller as they were not working properly and I was completely refunded. Meantime, also the motherboard failed and the hardware was largely changed and so, I have been for a lot of time without the opportunity to work with CUDA and performing intensive computations as I planned. As it is well-known, one can find a lot of software exploiting this excellent technology provided by NVIDIA and, during these years, it has been spreading largely, both in academia and industry, making life of researchers a lot easier. Personally, I am using it also at my workplace and it is really exciting to have such a computational capability at your hand at a really affordable price. 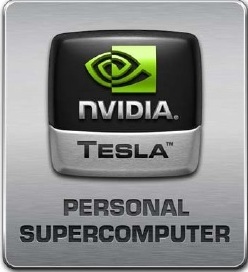 Now, I am newly able to equip my personal computer at home with a powerful Tesla card. Some of these cards are currently dismissed as they are at the end of activity, due to upgrades of more modern ones, and so can be found at a really small price in bid sites like ebay. So, I bought a Tesla M1060 for about 200 euros. 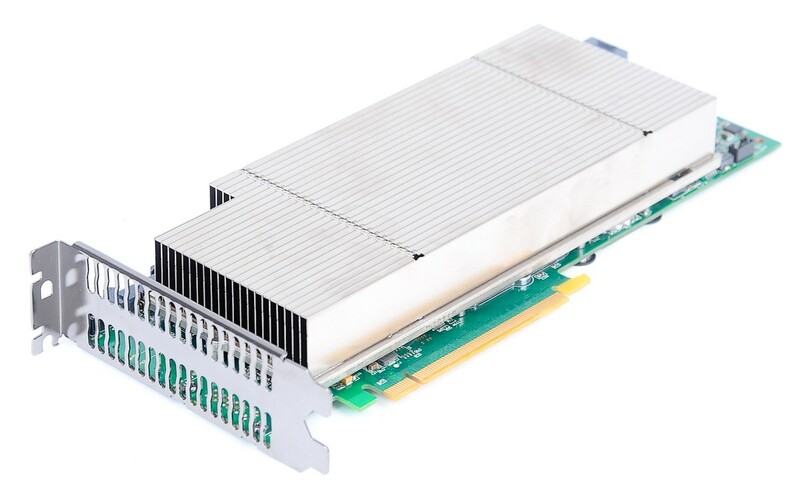 As the name says, this card has not been conceived for a personal computer but rather for servers produced by some OEMs. This can also be realized when we look at the card and see a passive cooler. This means that the card should have a proper physical dimension to enter into a server while the active dissipation through fans should be eventually provided by the server itself. Indeed, I added an 80mm Enermax fan to my chassis (also Enermax Enlobal) to be granted that the motherboard temperature does not reach too high values. My motherboard is an ASUS P8P67 Deluxe. This is a very good card, as usual for ASUS, providing three PCIe 2.0 slots and, in principle, one can add up to three video cards together. But if you have a couple of NVIDIA cards in SLI configuration, the slots work at x8. A single video card will work at x16. Of course, if you plan to work with these configurations, you will need a proper PSU. I have a Cooler Master Silent Pro Gold 1000 W and I am well beyond my needs. This is what remains from my preceding configuration and is performing really well. I have also changed my CPU being this now an Intel i3-2125 with two cores at 3.30 GHz and 3Mb Cache. Finally, I added 16 Gb of Corsair Vengeance DDR3 RAM. The installation of the card went really smooth and I have got it up and running in a few minutes on Windows 8 Pro 64 Bit, after the installation of the proper drivers. I checked with Matlab 2011b and PGI compilers with CUDA Toolkit 5.0 properly installed. All worked fine. 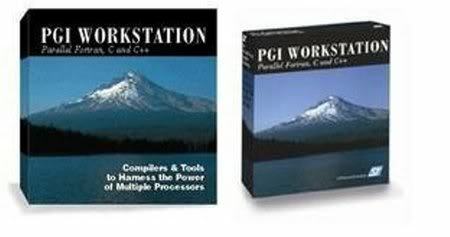 I would like to spend a few words about PGI compilers that are realized by The Portland Group. I have got a trial license at home and tested them while at my workplace we have a fully working license. These compilers make the realization of accelerated CUDA code absolutely easy. All you need is to insert into your C or Fortran code some preprocessing directives. I have executed some performance tests and the gain is really impressive without ever writing a single line of CUDA code. These compilers can be easily introduced into Matlab to yield mex-files or S-functions even if they are not yet supported by Mathworks (they should!) and also this I have verified without too much difficulty both for C and Fortran. Finally, I would like to give you an idea on the way I will use CUDA technology for my aims. What I am doing right now is porting some good code for the scalar field and I would like to use it in the limit of large self-interaction to derive the spectrum of the theory. It is well-known that if you take the limit of the self-interaction going to infinity you recover the Ising model. But I would like to see what happens with intermediate but large values as I was not able to get any hint from literature on this, notwithstanding this is the workhorse for any people doing lattice computations. 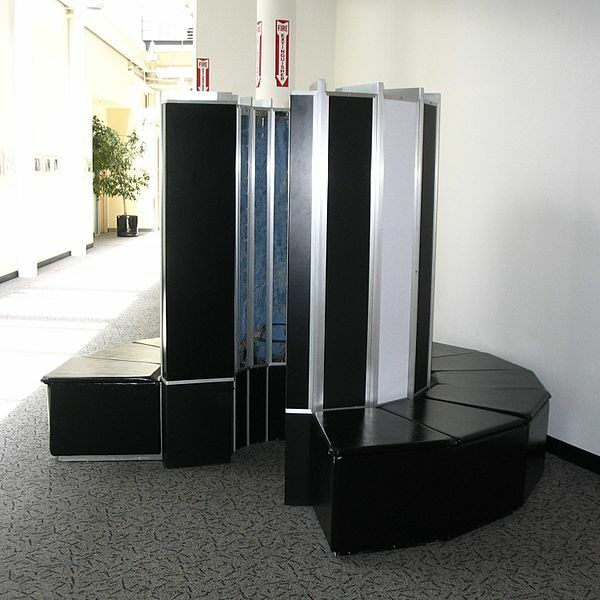 What seems to matter today is to show triviality at four dimensions, a well-acquired evidence. As soon as the accelerate code will run properly, I plan to share it here as it is very easy to get good code to do lattice QCD but it is very difficult to get good code for scalar field theory as well. Stay tuned!